Making the best of their day off in the capital of Bolivia, the duo of Rockstar Energy Husqvarna Factory Racing’s Pablo Quintanilla and Andrew Short are now focused on continuing their solid performances in this coming second week of competition at the 2018 Dakar Rally. With Pablo currently 16 minutes behind the provisional overall leader and eight more long stages yet to be contested, the reigning Rally World Champion will make use of his experience to gradually climb higher up the leader board. Featuring five long and demanding stages in the sandy dunes of Peru, this first week of racing proved to be demanding for all competitors. 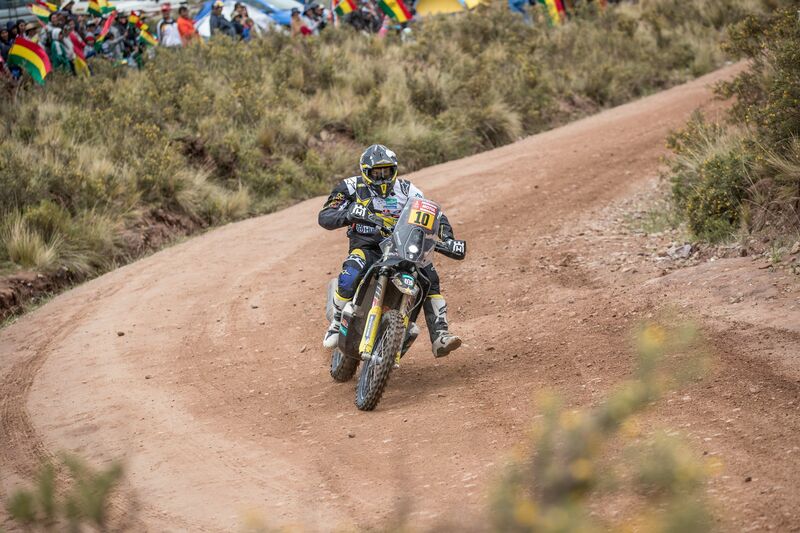 Kicking off the event with a strong third place result in the opening stage, Quintanilla went on to secure four more top six stage results as the race moved over to Bolivia yesterday. Reaching as high as second overall after the end of stage four, the Chilean rally star is currently placed eighth in the provisional overall standings. Learning more as the race goes on, Dakar Rally rookie Andrew Short has been making some steady progress so far in the race. Consistently finishing inside the top 30 in all the stages contested so far, the acclaimed US racer is now placed 22nd in the provisional overall standings. For this coming second week of racing, Andrew will look to earn a spot inside the top 20 in the overall. With eight more stages still to be contested, the second week of racing at this year’s Dakar Rally is expected to be yet more demanding. Featuring two marathons stages in a total of 5,200km to be run until the finish in Córdoba, the race still has a long way to go.